Ever since 1825 when the first glassworks were established in Parma, Italy, Bormioli Rocco has been a true glass act. In this age of mass production, Bormioli Rocco has maintained the kind of craftsmanship that has put Italy at the forefront of luxe quality and design. Bormioli Rocco holds the belief that the table is a magical space where precious downtime is spent telling stories either for amusement or the sharing of experiences. In order to amplify this special time, Bormioli Rocco has created the Premium Collection in an exclusive collaboration with the AIS – the Italian Association of Sommeliers to create glasses to compliment every style of wine. 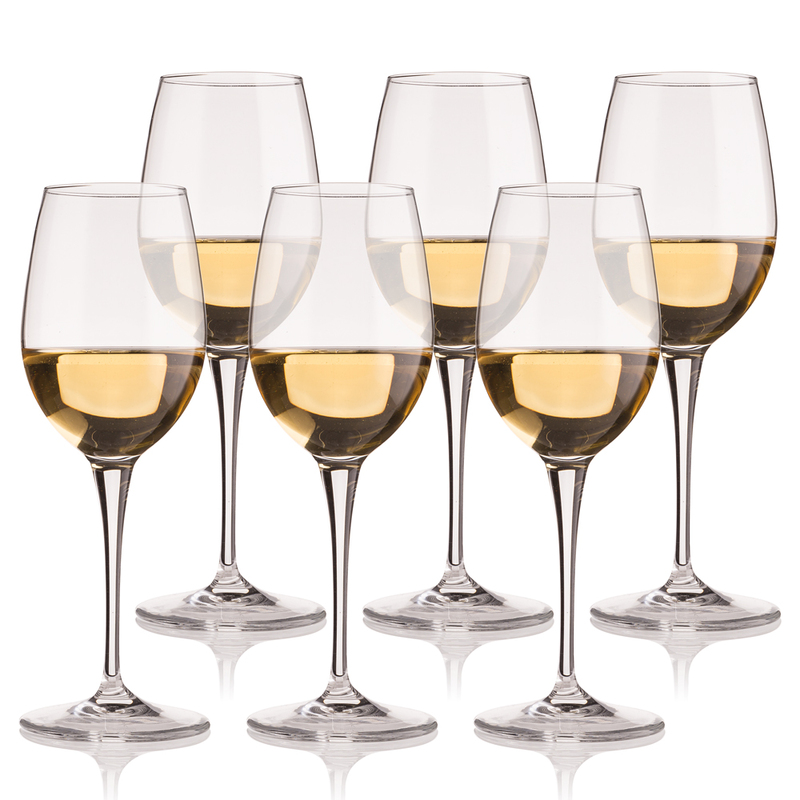 The Premium No 11 wine glasses are ideal for tasting Sauvignon varieties. They’re crafted from pure Star Glass - a chemical composition which has an extremely high transparency. And since it has few impurities, it’s comparable to crystal but with greater lightness and practicality of use. Sitting down at the table with a glass of wine has never been such a simple pleasure. Sparkles like crystal but it’s lead free. Laser cutting makes for a thin, lightweight glass. Pulled stem for extra durability. Presented as a set of six in a Bormioli Rocco box.